​​Liverpool are believed to have turned their attentions towards Fiorentina's £62m-rated winger Federico Chiesa, after seeing their pursuit of Lyon talisman Nabil Fekir collapse last week following complications with the Frenchman's medical assessment. According to the Guardian, the Reds have identified Chiesa as an energetic option to added further depth to Jürgen Klopp's already impressive squad, and believe that the 20-year-old will be capable of reproduce his encouraging ​Serie A form in the ​Premier League. The Italian international scored six goals and produced five assists in a strong showing last season. While Chiesa is certainly within the Reds' price range, they may well have to contend with competition from Inter, who are looking to bolster their ranks with a host of homegrown talent for the upcoming season. 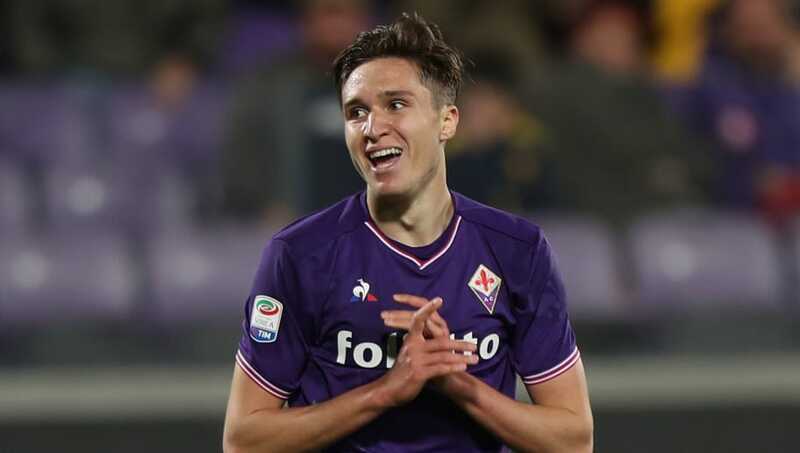 The San Siro side are thought to have a number of players of interest to Fiorentina, which could see them gain the upper hand and seal a swap deal. Chiesa, the son of former Serie A stalwart Enrico, is a product of the Fiorentina youth academy, and broke into the first team last season after a series of impressive displays. While Viola are unlikely to willingly give up their starlet, they may have to bite the bullet and cash in on their prized asset - given the financial pressures that the club are facing. Liverpool have already completed the signing of midfield powerhouse Fabinho from Ligue 1 side Monaco, and are also set to sign RB Leipzig's Naby Keïta on July 1st. With the Reds' midfield now looking formidable, Klopp will look to strengthen in other areas of the pitch, and is likely to seek reinforcements in defence, in goal, and on the wings. Meanwhile, the Reds are believed to have ​identified Lazio goalkeeper Thomas Strakosha as a potential replacement for Loris Karius. The Albanian international could cost Liverpool around €30m, and is aged just 23 years of age. Roma's Alisson was thought to be Klopp's first choice option, but the Brazilian international is now widely tipped to join ​Real Madrid this summer.